General description: Fishing, waterfowl hunting, limited upland game hunting, birding. Tall, thick stands of phragmites and bulrush vegetation run west of the frontage road and are difficult to walk through. Gravel boat ramp is popular for anglers and duck hunters with small, shallow-bottomed boats. 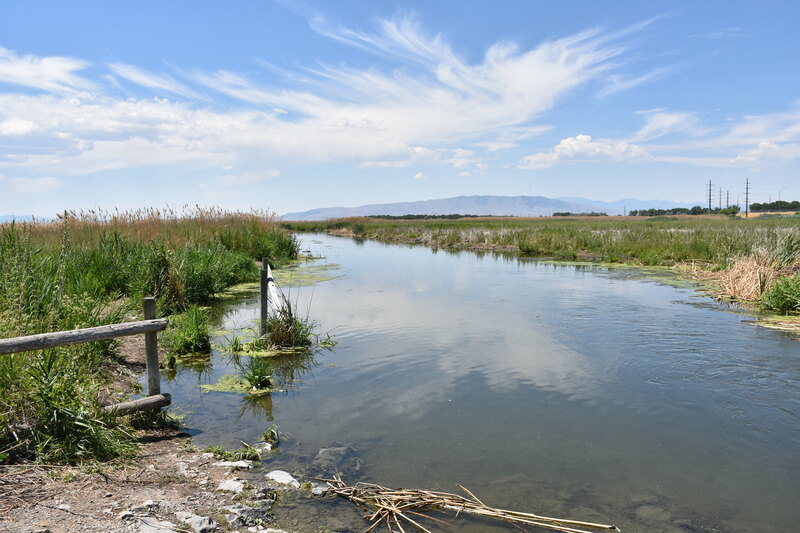 Water channel leads out to Provo Bay.